7 Days Garage Sale address, phone, website, hours of operation, and more. 7 Days Garage Sale dedicates itself to giving superior customer service and providing our customers the most knowledgeable and honest prices/quotes. 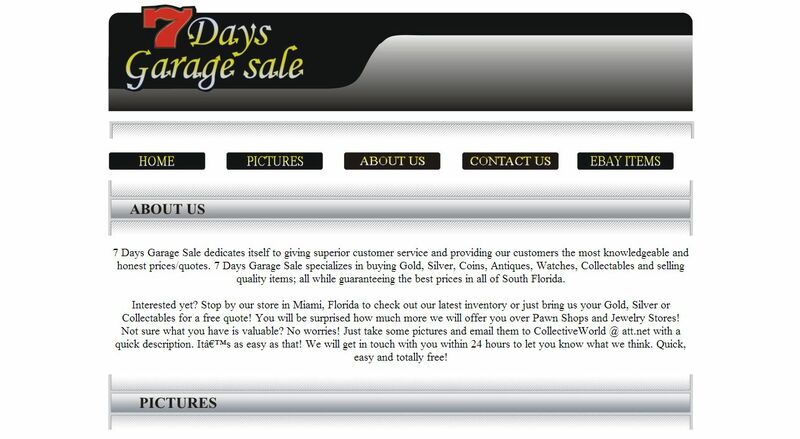 7 Days Garage Sale specializes in buying Gold, Silver, Coins, Antiques, Watches, Collectables and selling quality items; all while guaranteeing the best prices in all of South Florida.